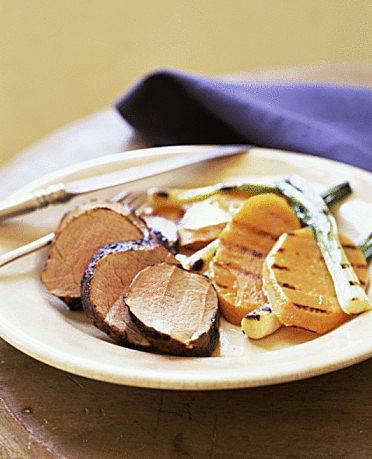 This pork tenderloin is marinated in an East Asian-inspired marinade that keeps the meat tender and adds a lot of delicious flavors. Marinate overnight, but at least for four hours to get the maximum effect. Mix soy sauce, wine, onions, garlic, pepper, and ginger together. Place tenderloin in a flat baking dish and pour marinade over top. Let sit overnight. Preheat grill for medium-high heat. Grill tenderloin over medium flame reserving marinade. Grill until the internal temperature reaches 145 degrees F/75 degrees C. While the tenderloin in grilling, strain marinade and boil on high heat for 5 minutes. When the tenderloin is done remove from grill and pour marinade over it.